I've been working on a series of "low poly" sculptures for my latest Electrolier sculpture. Here are some images of an owl in progress. 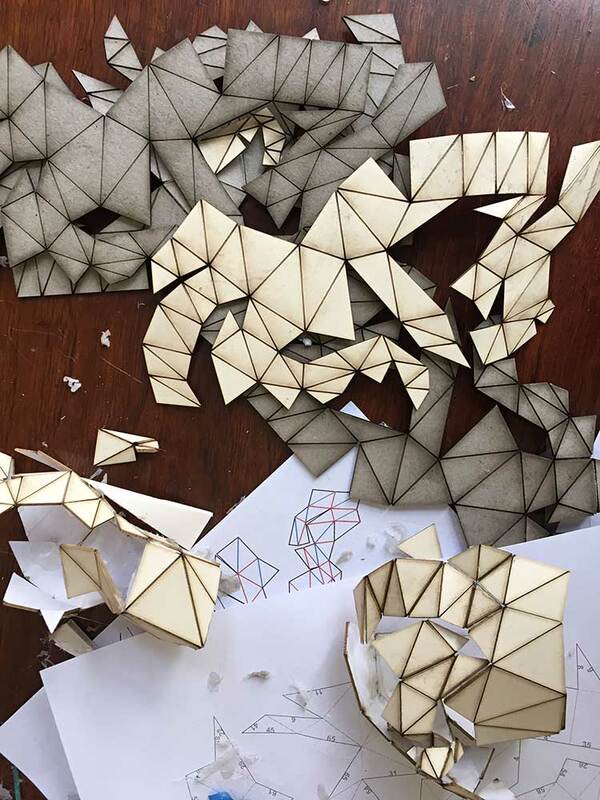 He was modeled in Blender, unfolded using a research software from a professor at GMU, cut on a laser cutter at Nova Labs, and assembled in my studio. The owl is still in the process of being refined and painted. The image of the pattern corresponds to the owl's right foot. The reason that my Blender model is separated into parts (body + two feet) is related to the pattern's complexity - it's easier to unfold if I process it in pieces. 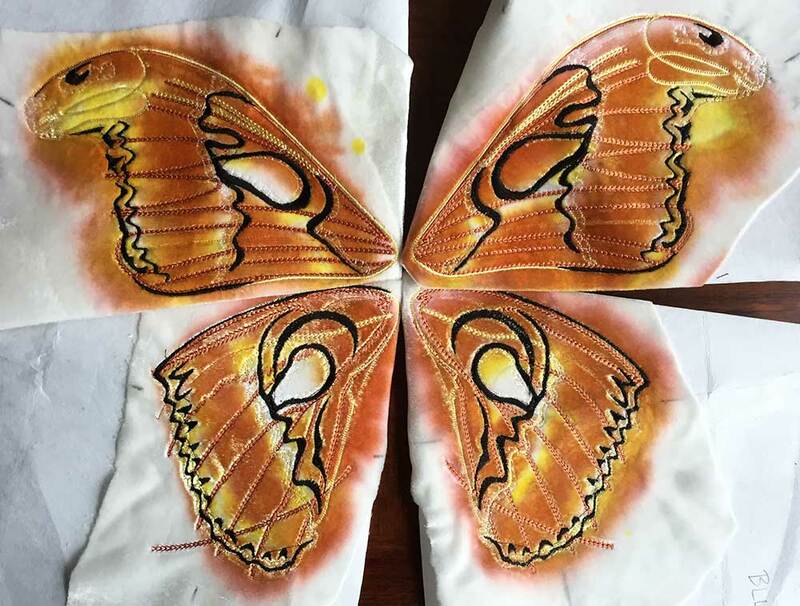 I've been working at Nova Labs in Reston, VA to embroider wings for some of the moths in my new Electrolier sculpture. Here's some informal documentation of my process. The machine is an old industrial "Ultramatic" that was restored by a Nova Labs steward. I dyed the velvet to give a "loose" colored background that contrasts with the precise stitches. (My registration was off on some of the wings, as you can see if you look closely at the color placement.) I embroidered both sides of the wings, which you can see above prior to assembly of the front and back parts. 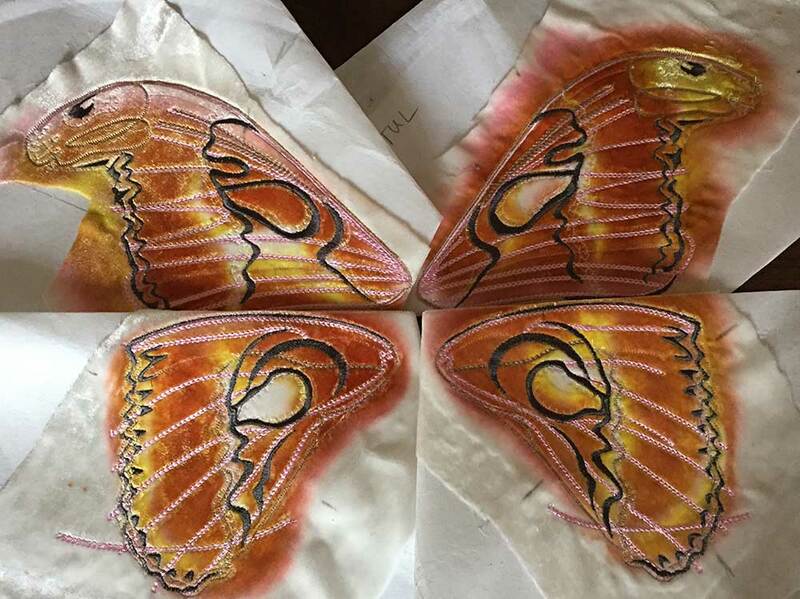 The middle image shows my "Atlas Moth" circuit board that forms the body -- more on that to come.